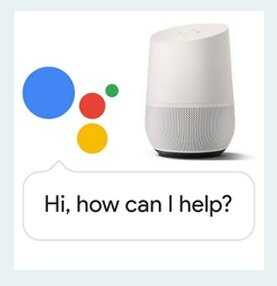 How do I get Google Home to find my business? How do I get Google Home to find my business? | Google Home or Google Home Assistant finds applicable or useful information based on what a person is asking. Google uses a number of search factors based on queries made over mobile voice search (Ok, Google Now) and manual search queries entered in the Google Search box. 1. Step 1: Make sure your website, blog or directly is found in Google search. 2. Step 2: Make a detailed list of search queries or questions a person would make as part of natural speech. 3. Step 3: Build pages in an FAQ or ‘answers’ and ‘questions’ format. 4. Step 4: Use infographics and photos where appropriate. Be sure to use ALT TAGS on these images. 5. Step 5: Continually add fresh content to new Q&A pages. Be patient to see the results. Create original, useful and thoughtful pages that provide helpful information. You want your Q&A pages to convey any or all of the following. Your page content should be educational, easy to understand, entertaining and conversational. Exceptional content will yield exceptional online results. VISIONEFX is an SEO company in Virginia Beach VA providing SEO services to small and medium sized businesses throughout the United States. Rick can be reached at (757) 619-6456 or www.visionefx.net.